There are lots of ingredients that you’ll find in several of our products: lavender, pomegranate seed oil, rosemary — these are plants we love because they have tried and true skin benefits. With our newest product, the Unscented Facial Oil, we are introducing a few ingredients that we haven’t used in any of our products before. You’ll hear about all of them soon enough, but we want to start by telling you about one of the best: Sacha Inchi Oil. The goal with the Unscented Facial Oil was to create something that you could use to keep your skin looking young for those who have sensitive skin. And on a simpler level, a moisturizer without scent. We know there are a lot of people out there whose skin reacts to essential oils and other strong ingredients, so that's what we left out of the formula. What we did put in it are ingredients that soothe, moisturize, and rejuvenate the look of your skin, which led us to some new and amazing ingredients. Sacha inchi is part of the Euphorbiaceae family, a cohort that consists of over 6000 species which are known for the diversity of the secondary compounds they produce. Secondary compounds are those that a plant produces to help it compete, but are not directly involved in growth, development, or reproduction. For instance, caffeine is a secondary compound. A high concentration of caffeine in young seedlings makes them toxic to insect predators, and also makes growing conditioners undesirable for nearby competitors. Characteristics of secondary compounds produced by members of the Euphorbiaceae family range significantly and, as humans, we can often harness these benefits. The antioxidant power of sacha inchi oil is amazing. Antioxidants help protect from environmental stressors. It’s important to eat foods rich in antioxidants as well as using them topically. Two of the antioxidants found in sacha inchi are vitamins A and E, hot shots in the skin care world. Topically, these nutrients help even the look of your skin tone and reduce the appearance of scarring and wrinkles. One thing that makes sacha inchi oil special is its high essential fatty acid content – 93%. 35% of that fatty acid content is linoleic acid making it about 32% of the oil. Compare this to 10% in coconut oil and 1-2% in avocado oil. This is pretty monumental when you consider how many people who think they can’t use oil on their skin because they are prone to oily patches and clogged pores. Not only can oils give your skin moisture without clogging your pores, certain ones like sacha inchi oil can actually help minimize your oiliness. Additionally, oils high in linoleic acid helps to even out skin tone. When we say sacha inchi oil is 93% essential fatty acid, we mean that it's very high in a combination of omega-6 and omega-3. Most oils have more omega-6 than omega-3. Take grapeseed oil for example. It has 70% linoleic acid (uniquely high, though not quite as much as sacha inchi) with 696 times as much omega-6 as omega-3. Compare that to olive oil, which has 12x as much omega-6 than omega-3, and sesame oil with 137x as much omega-6 as omega-3. Sacha inchi is an exception here with the essential fatty acid content at 48% omega-3 and 36% omega-6, this oil is unique. The omega-3 content of sacha inchi has made it really popular among health enthusiasts, since the balance of these two omegas is uber important, and our diets skew us heavily towards omega-6. So sacha inchi oil is a really rich source of something you’re probably not getting enough of. Stay tuned for more information about our newest Unscented Facial Oil and the awesome ingredients inside it! 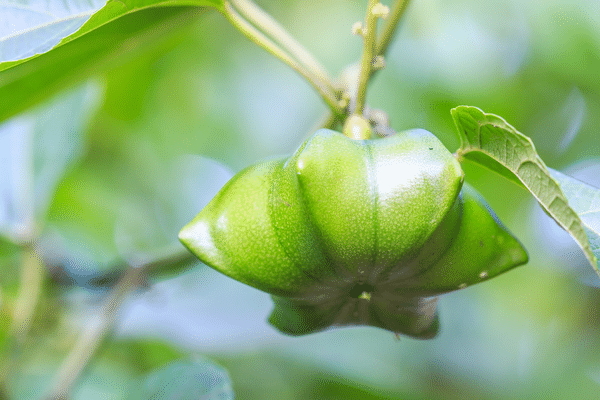 What are your thoughts on sacha inchi oil? Please let me know if coconut is used in all of your products or could be in contact with others that don’t. I am highly allergic to it. Thank you. Coconut oil isn’t in all of our products but you would have a difficult time finding a whole routine from our line without it. I’m sorry about that. I would suggest DIY skin care, just to be safe. I’m a bit confused as to your statement that linoleic acid is both omega 6 and omega 3. Linoleic is an omega 6 fatty acid, and LINOLENIC is an omega 3 fatty acid. And on top of this, there are a few different types of omega 6 fatty acids, Linoleic, Gamma-linoleic, and Arachidonic acids, which are the main ones, and are closely related to each other. The omega 3 fatty acids however, are very different, though are the same in that they are both essential fatty acids, and can sound similar. EPA, DHA are the animal derived Omega 3, and Alpha Linolenic and Stearidonic acids are the plant sources. I have a daughter who has been suffering from eczema since she was baby until now, she cant take seafood, nuts, peanuts, soy product and so much more. Please let me know whether she can take this oil to reduce the dry skin, itchiness and dry scalp. Thanks for writing in! The sacha inchi oil could be really helpful for your daughter, but I’m not sure because eczema is very complicated. We would suggest seeing a holistic practitioner because eczema is often caused by internal triggers and allergens. Is Sacha Inchi oil in any other of your products? Has it been in the fragrance free oil from the beginning. I am profoundly allergic to the seed and am concerned about the safety of this product for me? I am waiting for a medic alert bracelet. I love your products that I have used thus far and hope to continue using them in the future. Yes, Sachi Inchi Oil has always been in the Unscented Facial Oil but is it not in other oils right now. Because you have such an allergy, we suggest staying away from the Unscented Facial Oil. We would also suggest checking out the shop pages for each of the products that you would like to order to make sure that you’re not allergic to any of the ingredients. I think we all need to try before we buy, so please have samples to give away, and charge us for the postage. Will you be able to offer this also through your European partner? I am waiting to try your new products without the smell. I tried the kit and liked the way it made my skin fell but the smell made my allergies act up.let me know when one is available with out the sent. Thanks so much. What is your expert opinion about Baobab seed oil, (Adansonia digital), also a rich source of vitamin E, antioxidants and omega oils, helping to strengthen the skin and preserve collagen, as compared to Sacha inchi oil? And, organic Moroccan argan oil? How about nutrient rich super berry sea buckthorn fruit oil? Do you use any to those ingredients? Thanks for the reply. My only option for purchasing in australia is you. I did the maths and although the new zealand site (only other option for aussies) is almost same value with the exchange rate and very cheap for their delivery charge they have a markup that actually makes it cheaper to purchase directly from you, despite the 35 odd dollars delivery charge you charge and the exchange rate adding about 25 cents in the dollar extra. That’s why i wait for your offers. Thanks anyway. We shall see what you have on offer. Looking forward to trying this. The other oils are much too fragrant for me, so this may be just what I’m looking for! Thanks for your wonderful work! Looking forward to trying this new facial oil! All the Annmarie Gianni products I use are amazing! Sounds great. Just hope you have some type of special as i tend to wait til your special offers as i am purchasing from australia so need to save where i can. I haven’t long brought some products so hadnt planned to get some quite so soon. Hopefully, if not able to purchase until some special offer comes up, you will still have free samples. I originally trialled a great deal of your products this way by buying all the sample kits. My hubby isn’t a fan of the smells unfortunately except for the neroli spray that he loves. So i am very interested in trying the unscented oil. I dearly love your products. I was just interested to hear a response also in relation to the 2x people who asked about argan oil. I love your product and am happy to stay with your products, but as a beauty therapist am always interested in learning to help others when asked. Love your work! I love the idea of Sacha inchi oil! I’m so glad that you’ve come out with a fragrance limited line! Do you know what sizes you will offer and what the pricing will be yet? This is so exciting! I can’t wait to be able to use this line and not compromise one skin issue(acne) for another(fine lines, large pores)!!! Thank you!!! I have recently found your products, but did not want the essential oils and am therefore glad to see that you have another option available. I am staying away from ingredients that boost immune function and am wondering whether echinacea is in this new product? There is no echinacea in the Unscented Facial Oil. Hi, I am anxious to try your new oil. One of your customers asked how this oil compares to argon oil. I am also interested in this answer. Regardless, I love your facial products and this new oil interests me as I am dealing with skin cancer so anything that may reduce or help prevent the pre-lesions is worth trying. I love the scents and so far am not having any adverse reactions. It sounds great ! Count me in. I love every product I have tried. I can’t wait to try it with your mineral makeup. I am so excited about unscented facial oil. I just don’t care for the scent of anything orange, I am allergic and very sensitive to various scents. I can hardly wait! I love all your products that I’ve tried but this one sounds made for me. I have acne rosacea and this might be my answer! Thank you! I was one of those people who requested fragrance free. Managing an autoimmune condition by avoiding fragrance keeps me Well and full of Vitality! Now I can still enjoy beautiful skin too! Cannot wait until June 11. I don’t use my serums daily as sometimes I don’t want the fragrance, as it can overwhelm me at times. If I mix my anti-aging oils and serum with some of the new fragrance-free oils it won’t be as strong and a little goes a long ways. I can do this, correct? this product sounds great.. I just purchased 4 anti aging facial oils.. I do love all your products.. I just made a big purchase when you had the memorial day sale and love the new stuff I got. My question.. is how is the new product different from anti aging facial oil? Just the scent? Is this a better facial oil than anti-aging facial oil? I love all the healing qualities this new unscented oil comes with. 2. The base of the Anti-Aging Facial Oil is jojoba, making it richer than the Unscented Facial Oil (which has a grapeseed oil base). So if your skin is very dry, the AA Oil might be better for you. 3. There are fewer herbs in the Unscented Facial Oil, making it suitable for sensitive skin types. could this new oil be used in place of the anti-aging serum for similar benefits? The Unscented Facial Oil could be used in place of your current moisturizer, but is different from our serums, which are aloe-based. Our serums are meant to hydrate (help skin retain water) and address other skin issues. I’m looking forward to the launch. At 61, with rosacea, I still have breakouts. The Oil for acne-prone skin works very well, but my husband doesn’t like the fragrance very much. So an unscented oil with the listed benefits sounds superb! Thank you for your ongoing search for the best ingreditents to care for our skin and bodies in a healthy manner! The family that this ingredient comes from is unfamiliar to me.. I’ve never heard of it? Is there another more familiar name that’s related to this that others may know of or used? If latex comes from this family, what else does? Latex is a natural fluid secreted by 10% of all flowering plants, including many in the Euphorbiaceae family. Other members of this family include poinsettia, cassava, and castor oil. I can’t wait to try the new product! I’ve had relations to what I assume is the rosemary in your other product. I’ve had to stop using what I have:((. Hopefully I can continue with this new oil!! Sounds amazing and being I scented my husband may be willing to give this a try. I, too, am interested in a comparison between Argon oil and Sacha Inchi oil. I’m looking forward to trying this. I personally love the scents in your oils but as one who gets migraines it will be nice to have an option for those days where a scent might be bothersome. Add to that the option of adding essential oils the rest of the time and you have a win win situation. Thank you for all your hard work and intense research to be able to offer us natural yet cutting edge skin care and makeup. Is the oil from a plant that is in the latex” family”? Sacha inchi oil is one of the ingredients in our newest product, the Unscented Facial Oil. Sacha inchi is from the Euphorbiaceae family. Sacha inchi oil is derived from the seed, not the plant parts which secrete latex. Thank you. I did look it up and I appreciate the reply. I am also glad that you are offering an unscented oil. I am one of those sensitive people and had to stop using the line due to an intense eczema breakout last year. I will be trying this for sure! I just ordered the sample kits yet a chemist told me botanicals & essentials oils can be harder on your skin than some other products. So I am excited to see an unscented oil coming since I have sensitive skin & usually purchase unscented per my integrative physician’s advice. If scented oils are too srong for one’s skin, can you add something to your products that wouls lessen the sensitivity yet not render them ineffective? so excited for fragrance free products!!! the smells have made it difficult for me to go all in on your products. thank you, thank you, thank you!! sounds intriguing. will be looking for samples! Can I get a free sample? Would like to try before butting. Thank you so much! I tried a sampling of your products and loved the way my skin felt after using the facial oil, however my allergies did not. I am one who wrote to you in the past about including an unscented line and am very happy to see that it has finally come to fruition. Anxiously waiting for the release so I can try your wonderful products again. Can you tell me how the sacha inchi oil differs from Argan oil, which has become so popular lately and I am currently using? It sounds wonderful! I can’t wait. I can’t wait to order it!!!!!!! Ditto comments regarding the smell. The sandalwood is overwhelming. I love Sacha Inchi. I’ve used it in the powdered form for years in my smoothies. Please clarify that this product does or does not have latex. I have severe allergy to it. Thank you. There is no latex in this product. Sacha inchi oil comes from the seed of the plant.